It’s hard to believe I have lived in Madison for 30 years and didn’t know about this park. Not even my grandparents who lived not far from here when I was a kid. This is a park of a natural sort, no equipment made by man, just made by Mother Nature. 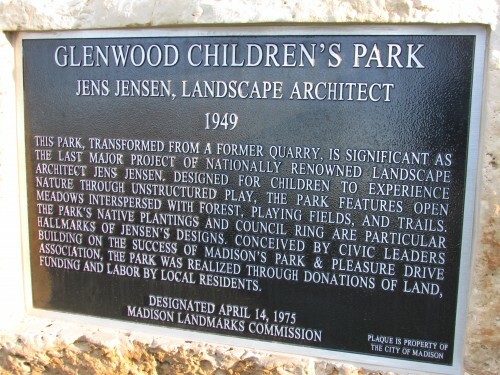 This park was the last project designed by Jens Jensen, who had a major influence in Door County. We saw his museum there on Washington Island in 2011. He also designed the famous “winding road” in Door County also, which we need to see sometime. 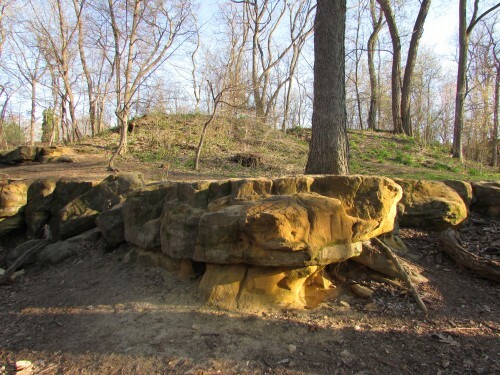 This park was once a quarry, now is a great area for kids to play, and plenty of climbing. 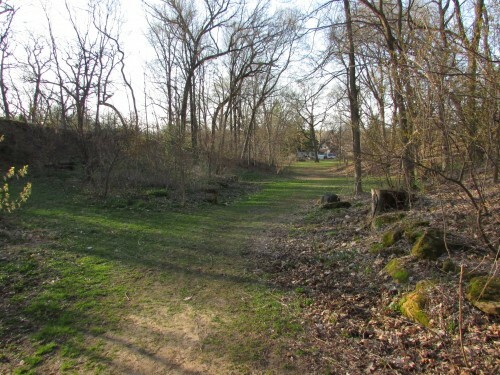 For many years the park fell into disrepair and neglect, but in recent years a major restoration has been taking place. I saw the results and was impressed! 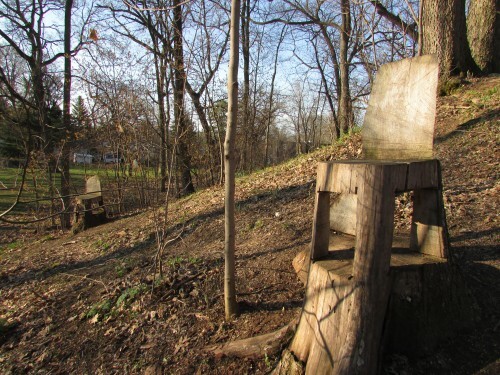 Two tree stumps were carved into chairs on a hill, cool! 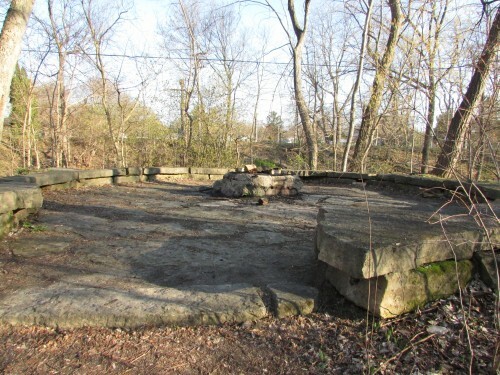 On top of another hill is a “Council Ring” where groups can sit and talk around a fire. 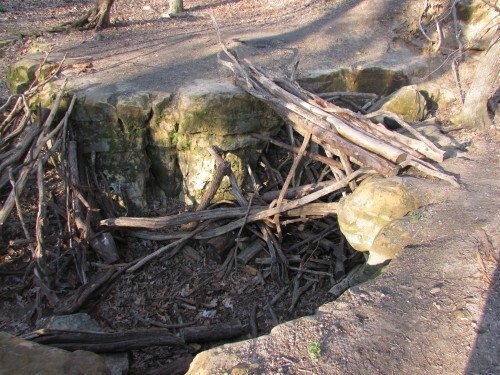 Here is a fun ravine with large sticks to build a fort out of! This is a great place for kids and adults alike, come here to relax in a natural environment that is easy to miss it is so secluded. Even I missed it! Great photos ! 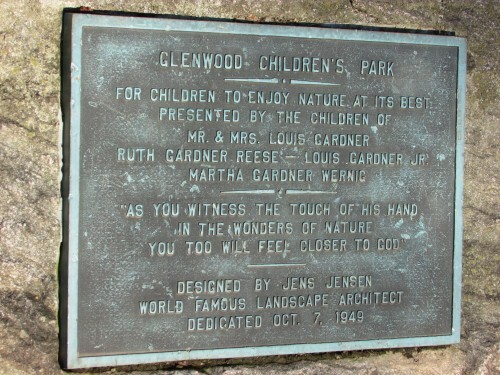 Thanks so much for the great blog post of our volunteer group’s work at Glenwood Children’s Park to preserve and protect it !!!! 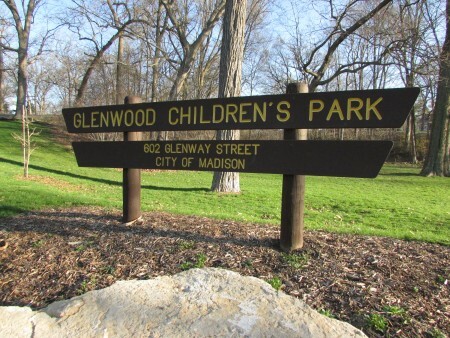 Check out our Glenwood facebook page which regularly is updated with community events we hold there like the Winter Solstice Bonfire (normally on 12/21) and our very popular musical gathering there on the Summer Solstice as part of the city wide Make Music Madison.